Metal Swing Arm Hanger. 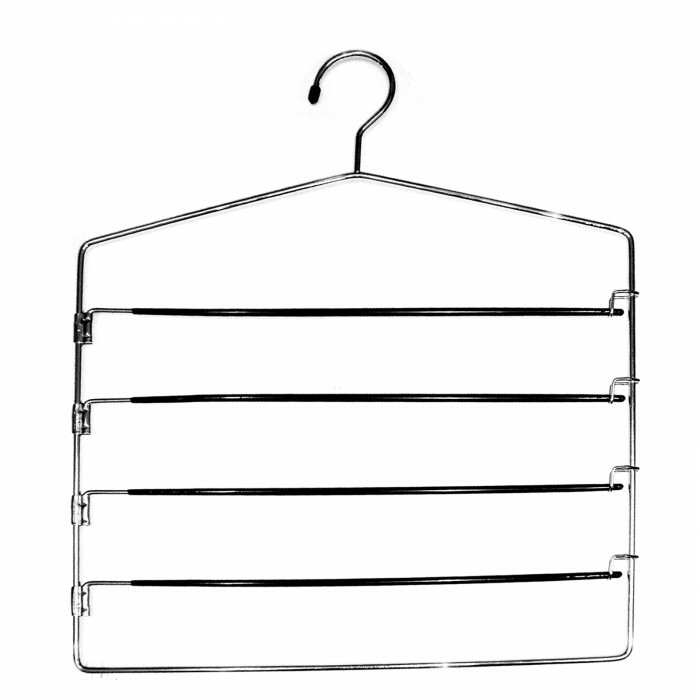 Quality, space-saving metal trouser hanger suitable for a range of garments including trousers, skirts and scarves. Non-slip bars hold trousers securely. Arms swing out for easy loading and unloading. Saves wardrobe space. Ideal for commercial and domestic use. 4 Independent Swing Arms that lock to secure bar.